Puzzle DISC is a behavioural style assessment that is used in many situations where people’s differences are important, such as in recruitment, group development, leader development, sales development and communication. The analysis is based on William Moulton Marston’s research on normal emotions, i.e. biologically effective feelings, which promote the survival of the organism. In "The Emotion Circle”, Marston identified four emotions that he referred to as D, I, S and C. D stands for Dominance, or how you approach difficulties and challenges. I stands for Influence, or how you transfer thoughts and ideas to those around you. S stands for Steadiness, or how you react to the pace of your surroundings. Finally, C stands for Compliance, or how you react to your surroundings’ rules and routines. According to Marston’s model, an individual perceives his or her surroundings as either friendly or hostile. Individuals with a lot of D and/or C in their behavioural style often perceive their surroundings as hostile. They see challenges, obstacles and possible pitfalls in everything they do. People with a lot of I and/or S often perceive their surroundings as being friendly. They see the pleasant, warm relationships between people and the possibility to succeed in what they do. None of these approaches is right or wrong – they are simply different. The second part of Marston’s model is the perception of oneself as stronger or weaker than one’s surroundings, i.e. how much control or influence the individual believes he or she has over a situation, other people or events. Individuals with a lot of D and/or I in their behavioural style see themselves as stronger than their surroundings. They believe that they can achieve their goals through their own willpower or through friendly persuasion. Individuals with a lot of S and/or C see themselves as weaker than their surroundings. Their way of achieving their goals is therefore by collaborating with others or by following set rules. Neither of these is more right or wrong than the other. 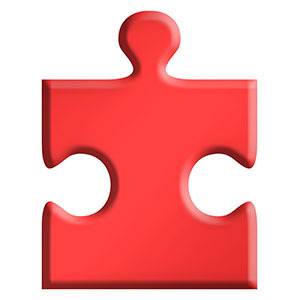 Puzzle DISC describes an individual’s natural behaviour (underlying behaviour) and how he/she adapts to a certain environment or surroundings (adapted behaviour). Underlying behaviour is partly genetic, but is also affected by early learning. Underlying behaviour remains relatively stable over time. Adapted behaviour is situation-dependent, and shows which adaptations the individual thinks he or she needs to make in order to fit in in a given situation. Adapted behaviour is learnt, and can change from situation to situation. 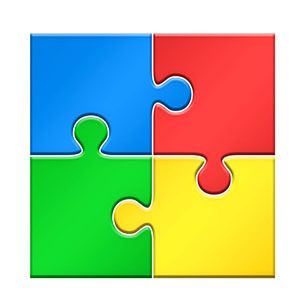 The different behavioural tendencies are also described using colours and puzzle pieces. People with a lot of red in their profile are by nature somewhat suspicious, and do not necessarily trust other people. They are often good at solving problems and are not afraid to take on challenges. They are often perceived as demanding, driving, aggressive, strong, obstinate and pioneering. People with only a little red in their profile, on the other hand, are more reserved and unobtrusive. They like to have more time and information before deciding on a solution. They can be described as conservative, cooperative, cautious, unpretentious and peaceable. People with a lot of yellow in their profile have a tendency to believe that their surroundings are good. They are skilled communicators, and influence others with their enthusiasm and good verbal abilities. The can be described as persuasive, inspiring, optimistic, social and reliable. 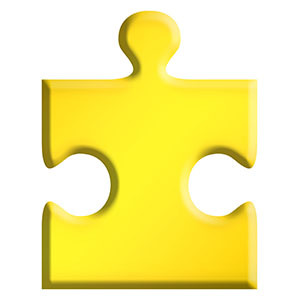 People with little yellow in their profile prefer on the other hand to influence others with facts and not with feelings. They can be described as meditative, reserved, sceptical, pessimistic and critical. People with a lot of green in their profile appreciate security and friendly relationships, and like to work in a team. They like to work at a calm pace and prefer to avoid unplanned changes. They can be described as calm, loyal, relaxed, patient and persevering. People with little green in their profile most enjoy variation, life and movement. They are open to new things and changes. They are often perceived as being spontaneous, impatient, restless, and eager. People with a lot of blue in their profile are aware of rules and regulations. They are quality conscious, and like to do the right thing from the outset. They can be described as cautious, painstaking, alert and quality-conscious. People with little blue in their profile see rules more as guidelines which it is sometimes necessary to deviate from. They can be described as independent, headstrong, unconventional and provocative. 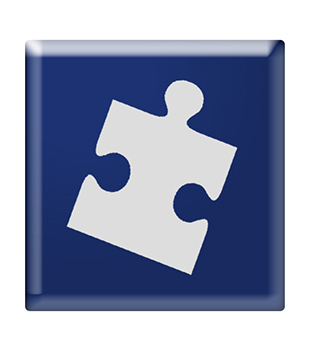 Puzzle DISC is an analysis tool that can be used in most situations where people’s differences are important. In a recruitment context, Puzzle DISC can provide answers to many of the "soft” qualities asked for in job adverts. In leader development, Puzzle DISC can for example provide excellent data for personal coaching.